I have a note which contains 17 characters - the VIN code of my car. No images. No attachments. No tables. No advanced formatting. Just a short piece of text. My car broke down today and I had to go to a shop to buy some parts. The guys there rely on your VIN code to find proper parts in their catalogues, and I was confident I had it with me, since I have all my important info added to Evernote. That's what they recommend, right? Have all your important data added to Evernote, so that you can access it wherever and whenever you need it. I've attached a screenshot of what the note looked like when I opened it today. It had its title. It had its tag. It had this shiny new "template" button that I couldn't care less about. What it didn't have, though, was the actual content of the note. The 17 characters that I trusted Evernote to store and make available to me when required. The note was created and last edited in 2014. It is displayed fine in desktop or web versions of Evernote. It is displayed as blank note in the latest version of Evenote app for Android. I've been using Evernote since 2010. I've been a paying Premium user most of that time. For the past few years I've been watching the Evernote team moving in direction I could not understand. Focusing on stupid things like "Context" and themed side panes, making Evernote slower and uglier on desktop, ignoring feature requests that had been around for years, etc. I thought, maybe I just don't get it. But today it became official for me: Evernote is an unreliable piece of junk that I should have migrated away from years ago. Seriously, guys. If you're working on a product that is supposed to store and display notes, and you've been developing this product for a decade, and the result of your work still fails to display a 17-character text note when needed, then something is really wrong with the way you do your job. Hi. I can understand the frustration, but the fact the note didn't show the number you needed at the time doesn't necessarily mean the information is lost. Unless you set a notebook to be "offline searchable", your device has to download the content from the server when you want to see it. If the signal at your location is weak, it can take time for the details - even a 17 digit number - to come up. Have you checked for the number since? Or looked on a desktop or in the web client to see the note on a bigger screen? The content of the note was not lost. It is just not displayed in Android app. And this had nothing to do with connectivity: my 4G internet connection worked just fine at the shop, and the note fails to be displayed in places with perfect WiFi coverage. It is fine on desktop or web. 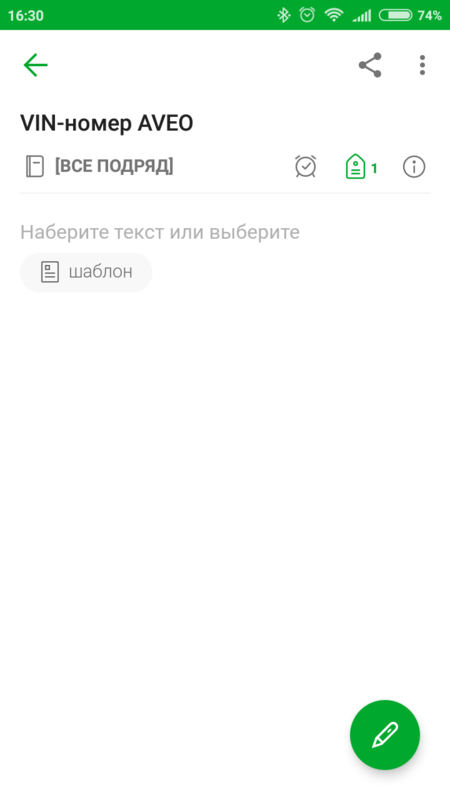 Other notes that I tried opening on the same mobile phone were displayed correctly. But this particular note (and maybe others I don't know about at the moment) is displayed blank. No matter how long I wait. Sure, I'm opening a support case. I'm just frustrated as hell. How can one provide a commercial service to "225 million people all over the world" and still let this kind of cr@p go into production? Have the geniuses behind Evernote not heard of software testing? Or were they too busy designing a new elephant icon to bother? A massive letdown, whatever the reason. I observe the same issue on my Samsung Galaxy Tab A tablet. I've opened a support request. The support team has confirmed it's a bug they can reproduce. They said it will be fixed sometime in the future, but they don't know when. As of now, the issue still exists. The support team has confirmed it's a bug they can reproduce. Installed the latest version of Evernote - 8.7.0, released recently. The issue has not been fixed by Evernote team. I still cannot access the content of my note on my smartphone.